Vanilla cupcakes in black paper cups with a Turkish delight secret centre! 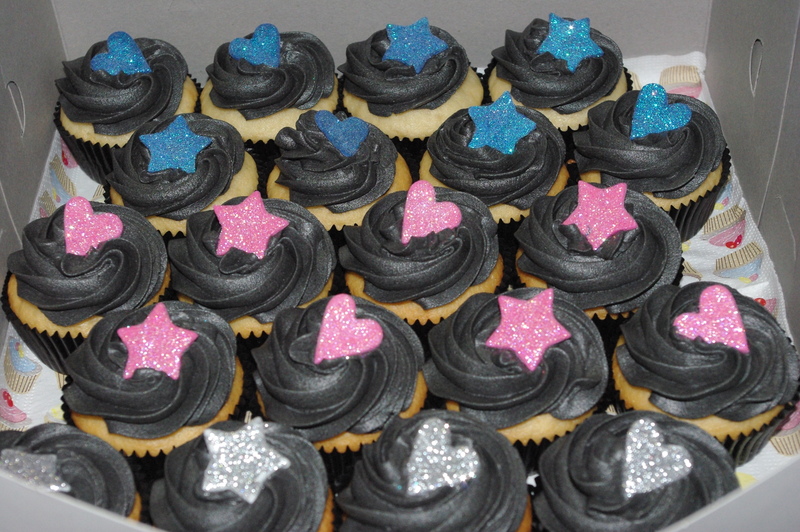 They’re topped with black vanilla butter icing and glittery fondant hearts and stars in blue, pink and silver. Chocolate cupcakes in silver cups with fudge secret centres! They’re topped with white vanilla butter icing and glittery fondant hearts and stars in pink, blue and black. 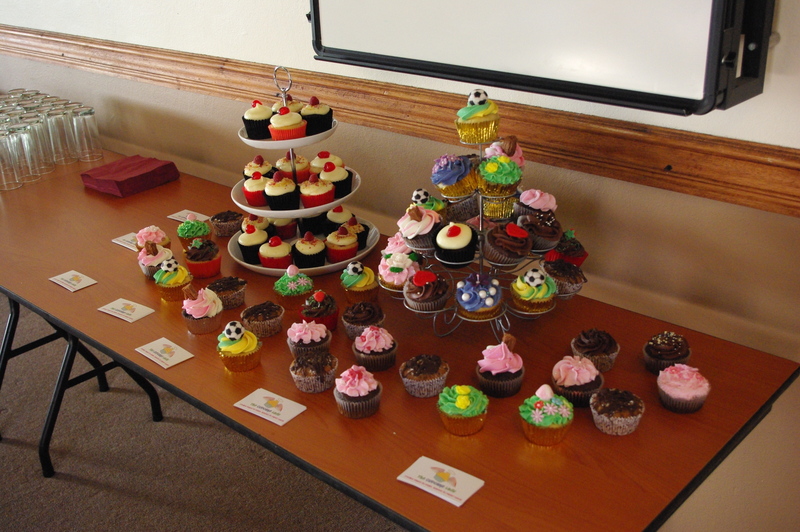 I didn’t take part as a wedding planner, but I dropped off 6 dozen cupcakes of all kinds for the attendees to taste test! There were coffee flavoured cupcakes with mini koeksister secret centres, chocolate cupcakes with strawberry secret centres. There were strawberry cupcakes, vanilla cupcakes with creme-caramel secret centres and red velvet cupcakes. I did vanilla butter icing, cream cheese icing and chocolate butter icing. And I used all sorts of different decorations including fondant flowers, fresh raspberries and cherries. I’m hoping the brides and wedding planners who are taking part in the speed-date-a-wedding-planner day will all be future customers!